148Apps : "The benefit to being too straightforward is that Voice Dictation for Notes is incredibly easy to use after some initial setup. 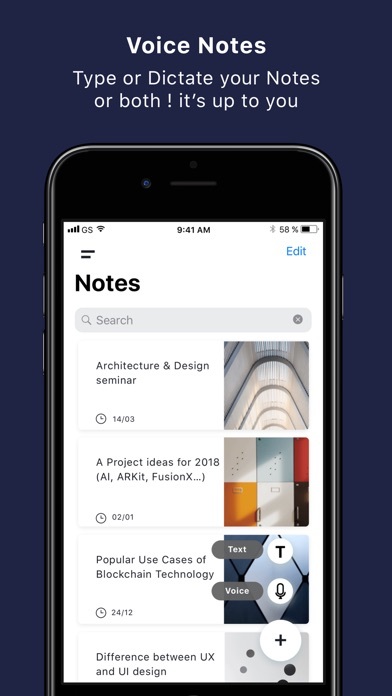 Anyone can transfer their words to their Notes"
Lifehacker: "Voice Dictation for Notes Translates Your Voice into Notes and Sends It to Virtually Any Other iPhone App"
Here’s another amazing way to get things done: just use your voice. Instead of typing, tap the microphone icon the leather band. Then say what you want to say and iPhone listens.iPhone converts your words into notes. 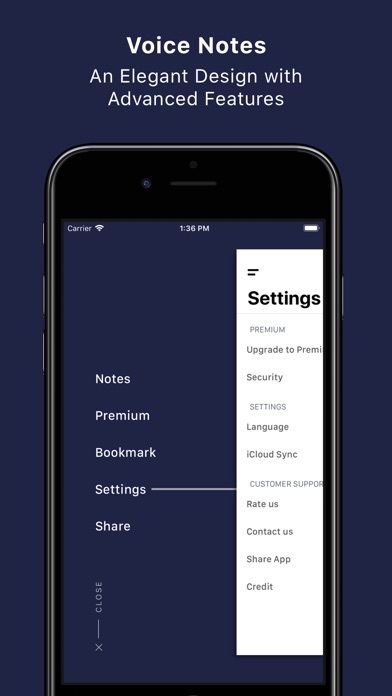 Voice Dictation for Notes is an easy-to-use voice recognition application that allows you to easily speak and instantly see your notes. In fact, it’s up to five (5) times faster than typing on the keyboard. 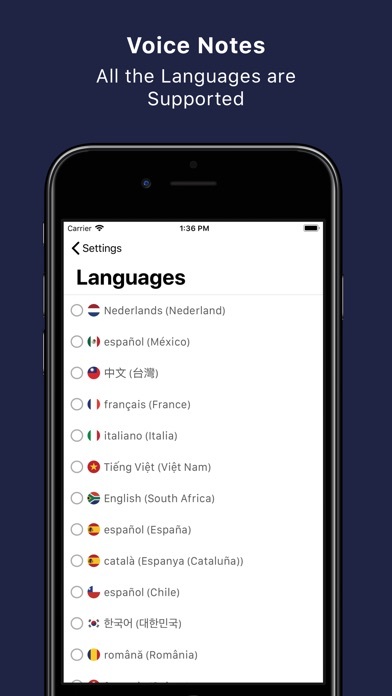 Voice Dictation for Notes supports a multitude of global languages. - Share your notes using Pages, Doc2Go, QuickOffice, Evernote, Email etc. 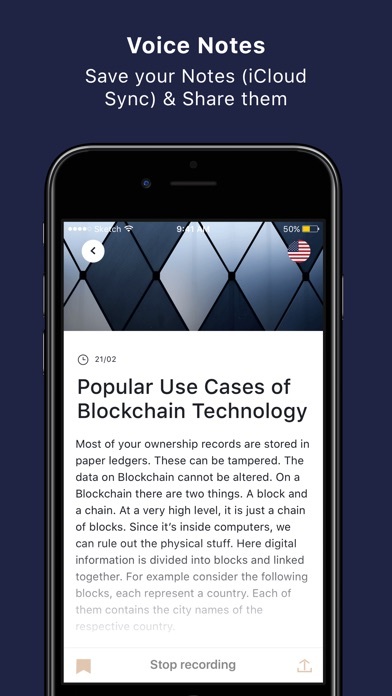 - A convenient way to quickly dictate your Notes and share them after. 1. Voice Dictation for Notes requires network connectivity (WiFi or 4G LTE/3G/EDGE). 2. Voice Dictation for Notes works iPhone, iPad and on the iPod Touch (external microphone required).